Whiplash is medically defined as an injury caused when the soft tissue in the spine is stretched and strained after the head jolts abruptly in a quick, back-and-forth movement in any direction. This sudden jerk of the head often leads to the damage of the ligaments and tendons in the neck, causing the recognizable symptoms associated with this type of injury. A whiplash injury is most frequently known to occur during an automobile accident, although high intensity sports and activities, such as football, can also cause injury. The hyperextension and/or hyperflexion of the muscles in the neck at the time of the accident is often the cause leading to strain in the neck. For most cases, symptoms will progress within a few hours of the accident. 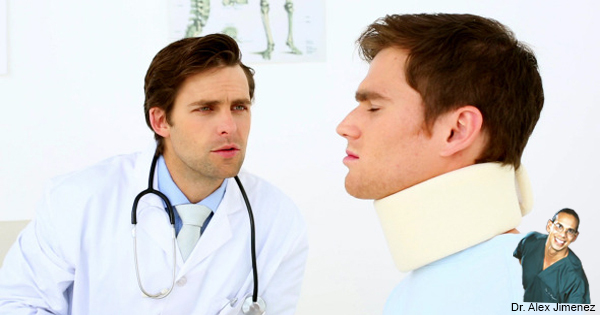 The most frequent symptoms of whiplash are pain and stiffness in the neck that can cause limited mobility in the individual or may cause headaches as a result. Also, swelling and inflammation of the local muscles surrounding the cervical spine is known to be another frequent symptom. Whiplash injuries can also have dispersed effects where an individual may experience lower back pain and symptoms similar to sciatica. During physical activities, this type of injury can be prevented to avoid further complications. Contact sports such as karate and football can also cause damage to the ligaments and tendons in the neck as well as other areas of the spine.